When I posted my powidl recipe, I said that I would provide further recipes using powidl. One of the recipes I listed was powidltascherl, but when I researched those I discovered they are made with the same potato dough as knoedel (see my recipe for apricot knoedel here). My husband was not a fan of this dough so I improvised the following “how to” for powidl pastries. The grocery stores and konditorei sell pastries like these so they are not something that I invented, and they are (somewhat) authentic. 2. 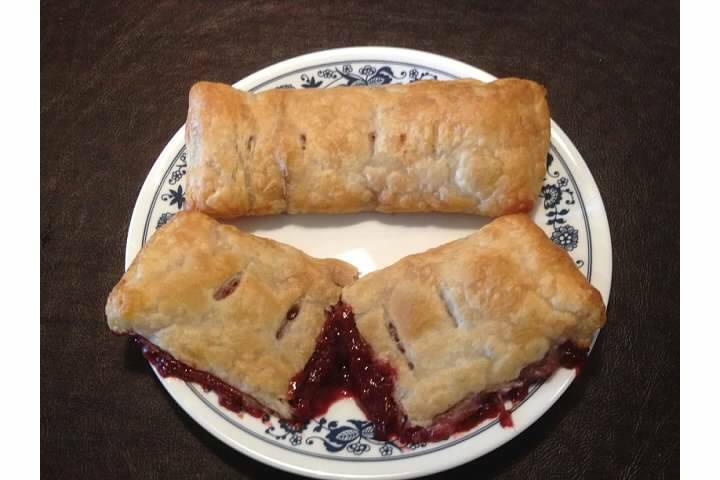 Cut the pastry into quarters, and spread some powidl in the center of each quarter. I could not keep my son from eating the powidl long enough to take a picture. 3. 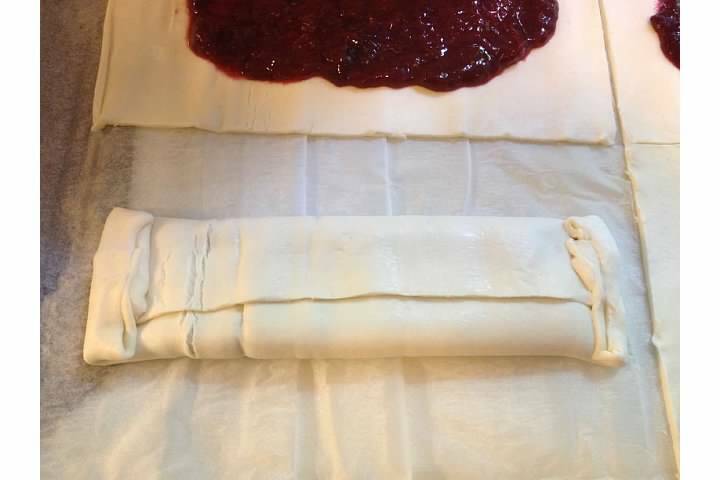 Fold the long sides of the pastry towards the middle, overlapping. Press to seal. Fold both the short sides in and press to seal. Kinda like folding a letter, but more delicious. 4. Flip the pastry so the seal is on the bottom. 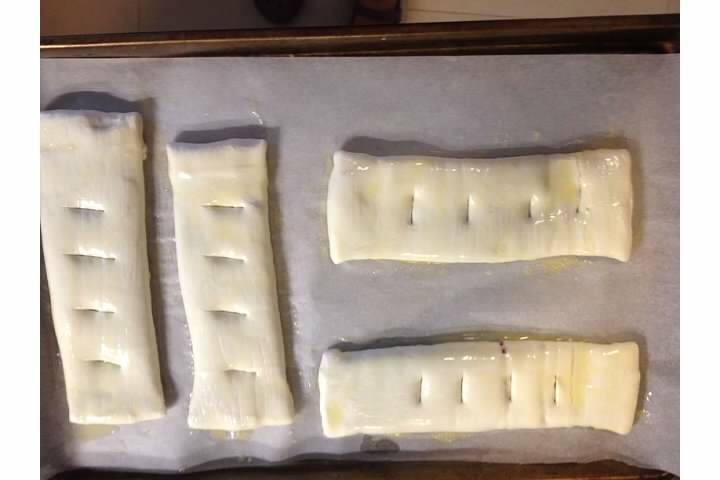 Brush top with melted butter, then cut four slits in the dough to vent. Move to a parchment-lined baking sheet. More butter is more better. 1. Pour enough water in your stock pot to cover the bottom. Add the halved plums and bring to a boil. Reduce heat to a simmer. 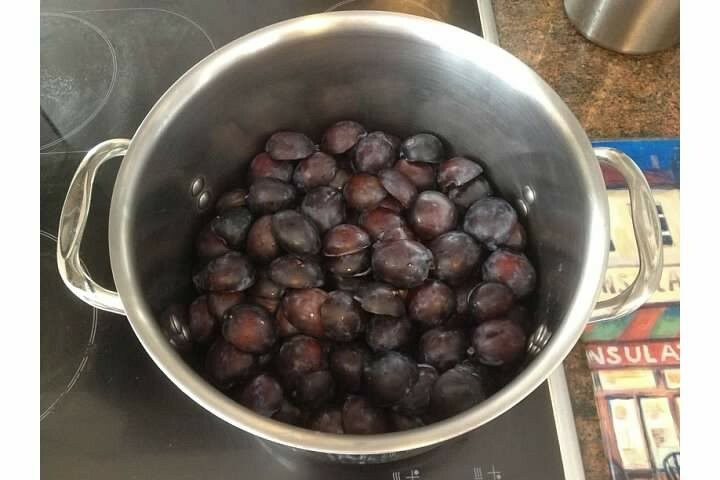 Slowly boil the plums until they are thick, stirring occasionally, about 6 hours. Not sure what to do with your powidl? I am going to attempt powidltascherl (a powidl-filled dumpling) and powidl topfen kuchen (a cake with powidl and cream cheese) at some point in the near future. The temperatures are in the 90s and our apartment does not have air conditioning, so I need to wait until a time when my family is not at home and the apartment is cool(er) to do my cooking — probably a morning next week. Stay tuned! One of my favorite things about visiting the Schönbrunn zoo is the Tirolerhof. The Tirolerhof is the location of a farm house from the Austrian Alpine region of Tirol that was disassembled, transported to the zoo, and reassembled. 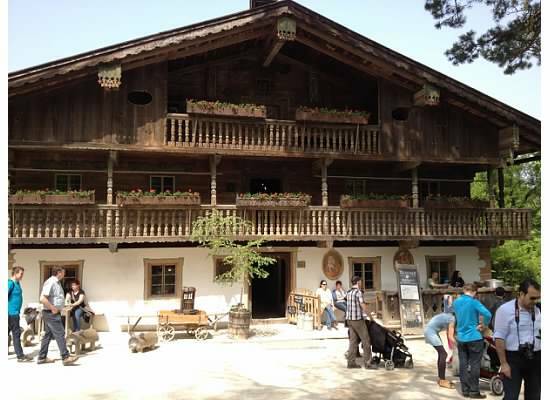 It serves as a living museum: the rooms are set up as they would be in a typical farm house of the region, and the inside and outside stalls house rare breeds of animals from Tirol. The farm house at Tirolhof. The best part, of course, is the farm shop (Bioladen im G’machl) that sells cured meats, cheese, brötchen sandwiches, baked goods, and beverages from Tirol. 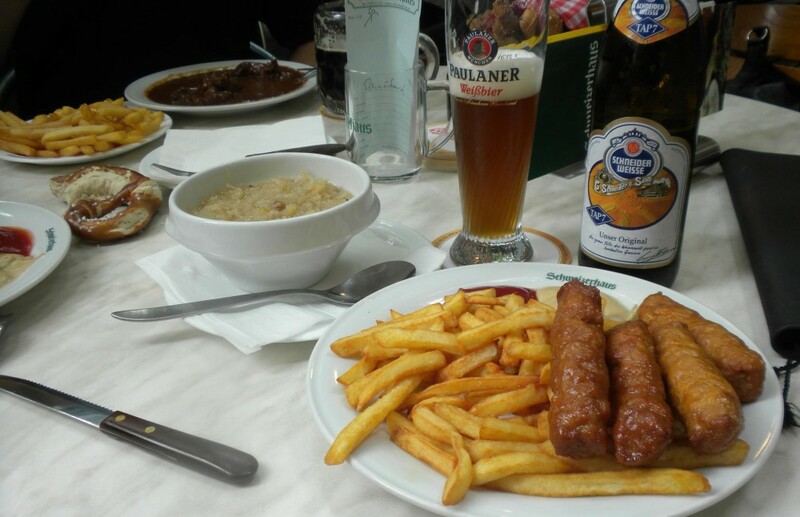 We had lunch there yesterday and I’ve discovered two more things that I want to learn how to make. 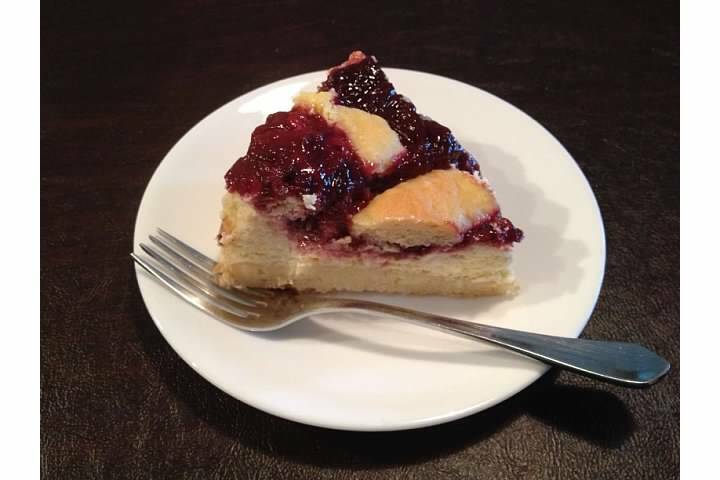 The first is powidl topfen kuchen, a cake made with powidl and topfen. 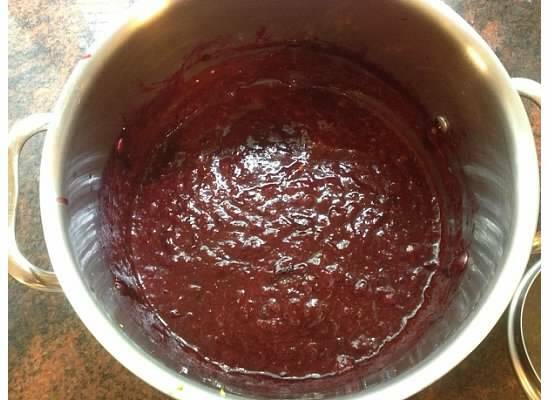 Powidl is kind of like plum jelly, except it is made without adding sugar or pectin (or other gelling agents). It sounds like you boil fresh, late-season plums for hours until they get thick. I want to learn to make this preserve for its own sake, and to re-create this cake. Topfen is a type of cottage cheese that is used in a lot of desserts here. 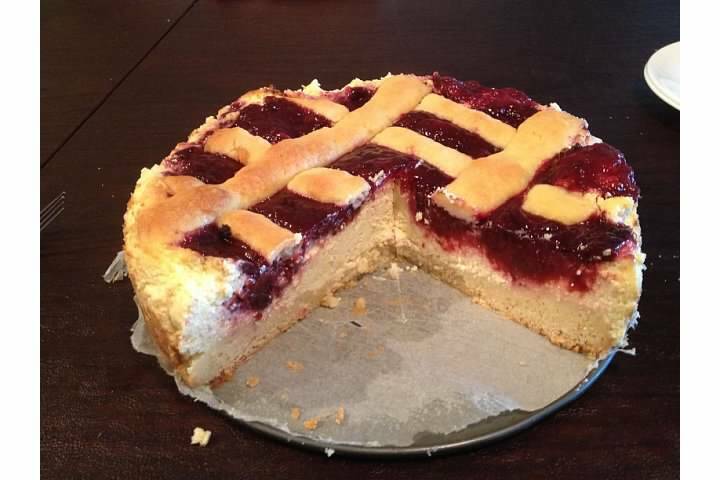 Wikipedia says it is similar to paneer, which I know how to make, so I am a third of the way to knowing how to make this cake. Next we have mohnzelten, which are poppyseed-filled bread. Wikipedia says that the bread is made with potato dough, which surprised me because I’ve always thought of the bread as a cross between pretzel and sweet bread. 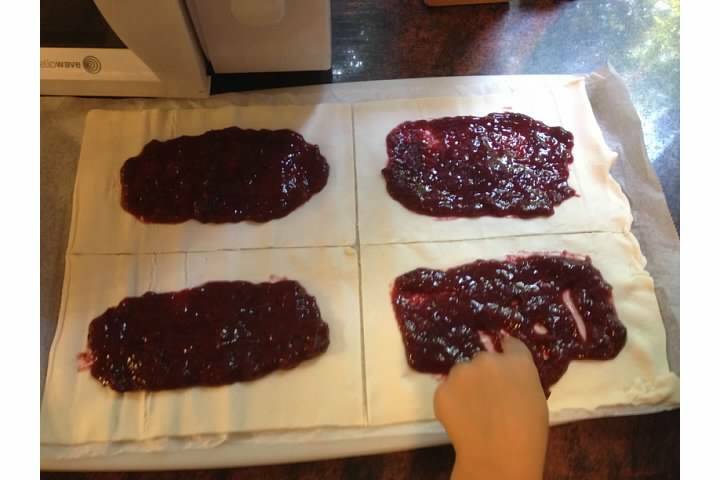 This is one of my favorite snacks that I have discovered here, and the way my family gobbled this up yesterday suggests they would not be adverse to me learning how to make them.